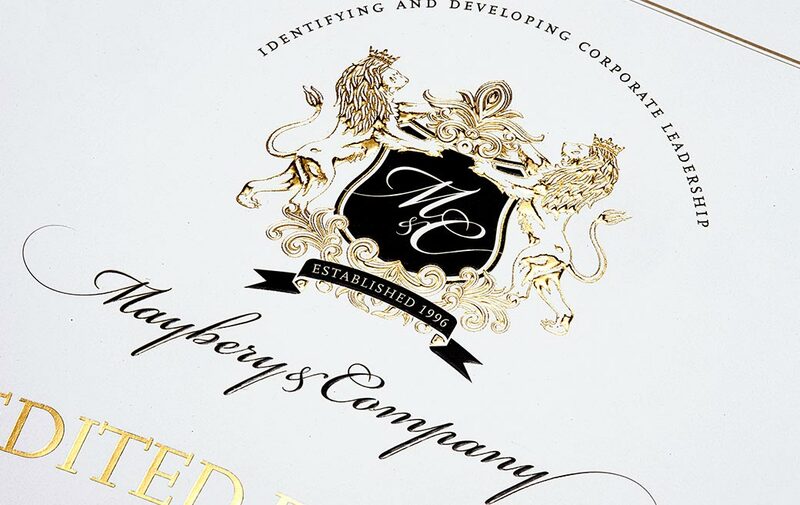 Maybery & Company is a 20-year-old leadership consultancy based in the UK, offering trusted leadership advice globally to corporations and premier brands. 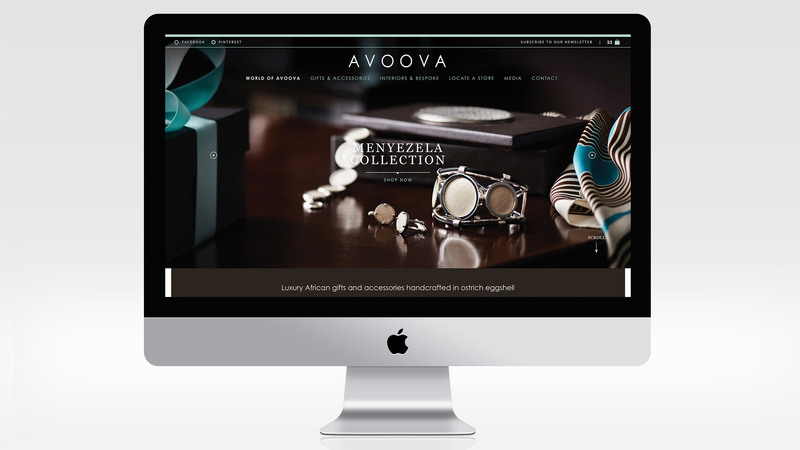 The company has been working with Pure Creative since early 2006. Pure Creative was commissioned to rebrand his exclusive leadership consultancy firm working globally. 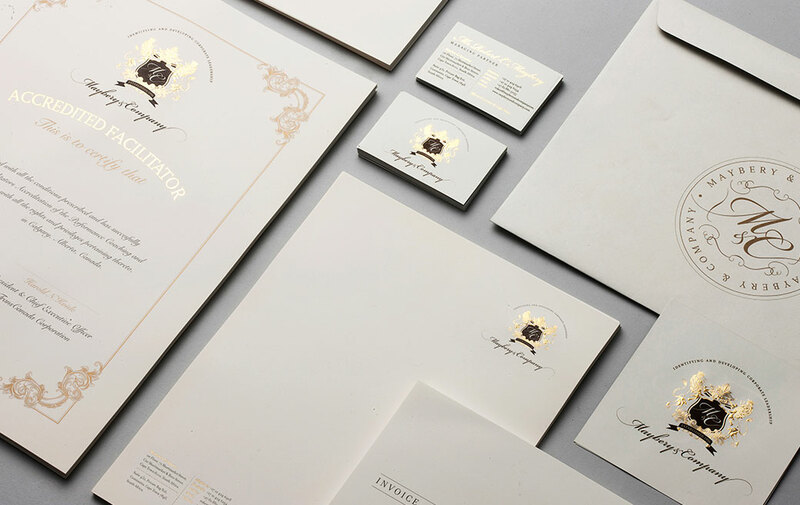 Starting with the crafting and hand engraving of the logo, this led to the design and production of high-end stationery and marketing collateral. 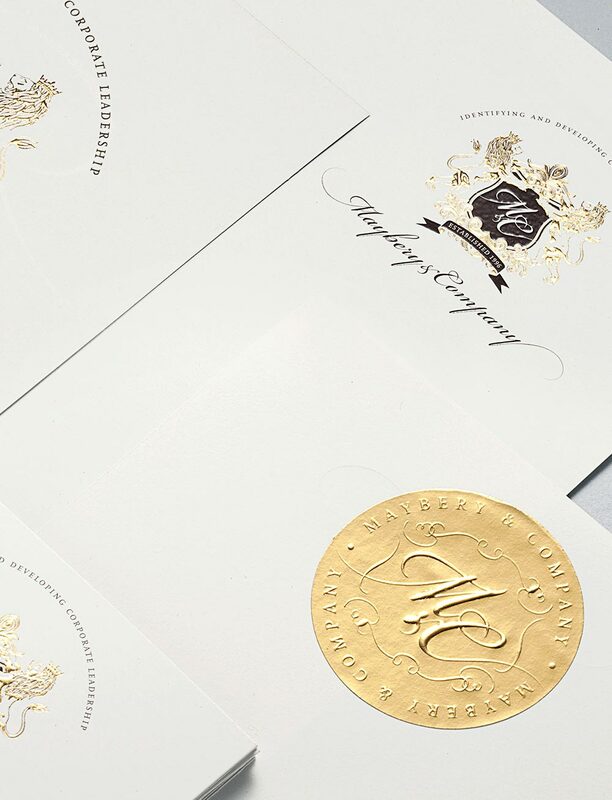 To elevate the brand, premier print finishes were incorporated into the production of the stationery including gold hot foiling, embossing, debossing, virko and letterpress printing. 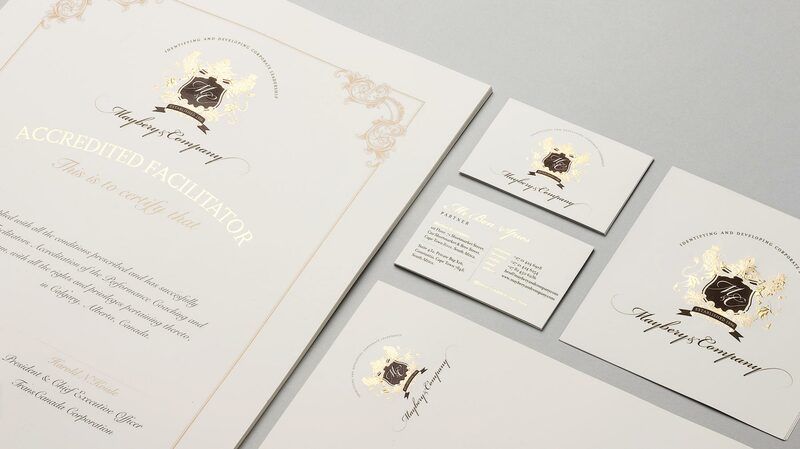 The richness of the paper and high-end print techniques ensure that the printed collateral is as luxurious as it is practical. 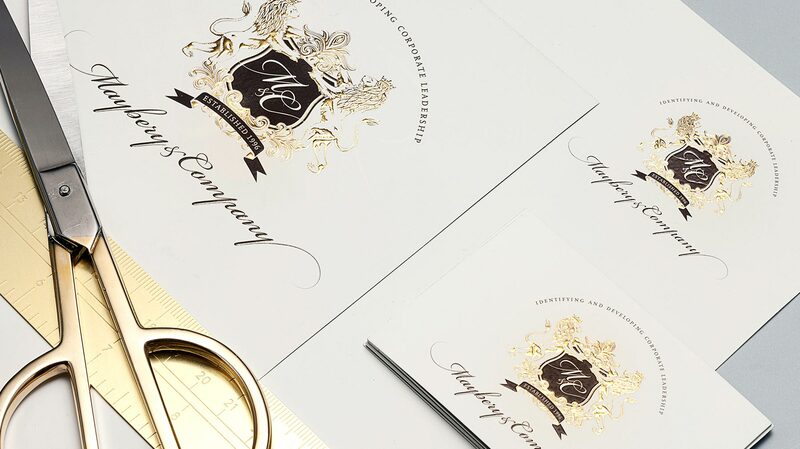 This stationery was showcased amongst the best stationery design of 2014 by the creative blog UnderConsideration. “I have known Andrew Burke personally for thirty-five years. I have worked, professionally, with Andrew and his Pure team for the past eleven years. In that time, Andrew has led and overseen three brand projects and an elaborate and challenging publication project, concerning my intellectual property. On each and every occasion, my expectations were surpassed. None of the aforementioned projects were rudimentary. A previous global brand award, when working with another agency determined the minimum standard. Pure, took the standard to a new level. Andrew is an exceptionally talented creative director. He has few peers. The Pure team, whilst obviously, collectively talented, understand the importance of client service. High profile nominations in the brand and print media, including due recognition ensued.